We actually did this activity way back in April for St Georges Day, but I never got round to blogging it, so here I am shamelessly 're-cycling' this Flag rice box activity for the world cup! Super simple, just a large plastic box, shear fluke - mine is A4 but just cut down paper/card to fit yours. I added a sheet of red card and poured rice over the top. 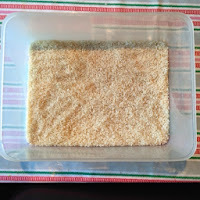 I'd printed off a small St Georges Cross and asked T to copy it using the brush - of course he couldn't but he had a good go, I also showed him how he could shake the box to make the rice cover the paper again and start over. He loved being able to keep doing it over and over and eventually got something resembling a cross. 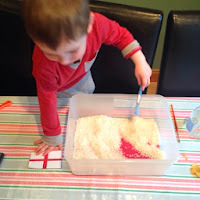 He also got his hands in and pushed the rice to the side , He soon worked out that this was much quicker than brushing it! 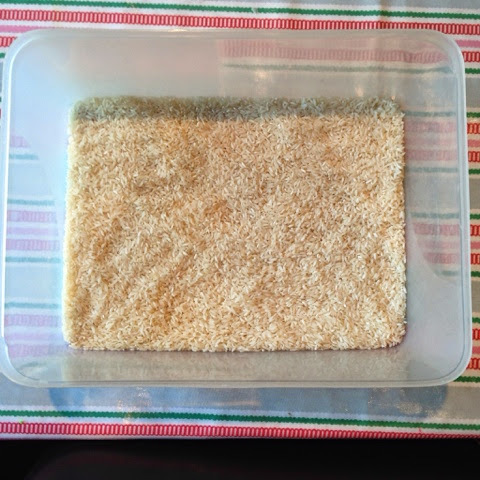 This activity can be adapted to use salt or sand or any other fine grain material. 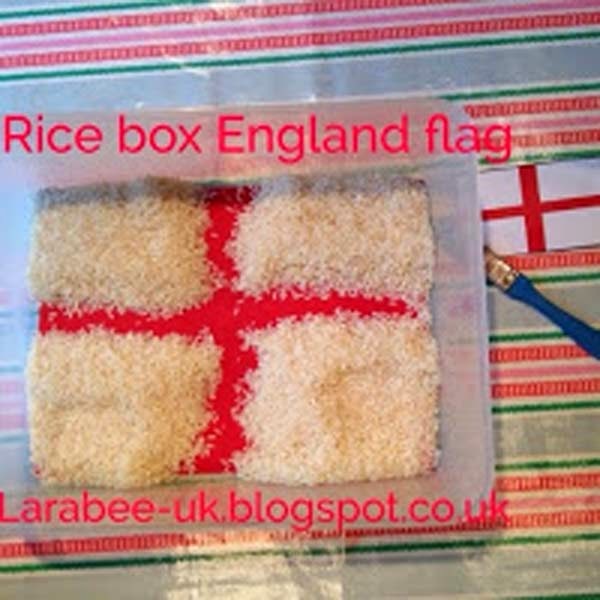 Of course, we did the Georges Cross, but most flags could be created in a similar way with a little modification, or even just pop some smaller flags at the bottom to be discovered when your child brushes the rice away. During June we will be concentrating on World Cup and Football themed activities have a look at our Brazil/World Cup Theme Pinterest Board for some ideas, Becky at 3princessesand1dude and I have been pinning here for a while now, so there's loads of ideas there. I'll also be posting a few activities we do each week through June.